Some time ago I proudly added the Committed to Professional Development badge to my website. Yes, I’m a bit of a CPD addict, so adding the badge felt more than appropriate. But only recently, when proofreading the Polish version of the CPD manifesto did I feel like it was time to reflect on this area once again. So here are some of my thoughts on the topic. Make sure that before spending money you specify your goals. According to research, only about 5% of us actually write down our goals and those are the ones who succeed in achieving them. I remember a time when I would enroll for any course or workshop vaguely related to my areas of interest. While it may not be such a bad idea at the beginning of your CPD journey, in a while you may realise that you need a clearer focus. Plan your CPD budget for a year and stick to it. There are a lot of good courses, but also a lot of junk out there. Make conscious decisions – why not to ask former course participants for their opinions and experiences? Take time to record your CPD activities, review and reflect upon them. It is as important (if not more) as attending training itself. For this purpose you can, for example, use the CPD form offered by the CIOL (Chartered Institute of Linguists) or you can create your own. Think how can you utilise the newly gained knowledge and skills in your business from day one. And show it to the world! Share it with your clients and fellow linguists by updating your social media profiles, CVs, promotional materials – how about writing a blog post with a review of the training you’ve just attended? Information is everywhere – sometimes you just need to look around. Check what’s on offer from your local university or college, if there are any valuable events happening nearby. Don’t forget about online resources such as MOOCs (for example: Coursera or Future Learn). What areas do I need to improve? Do I really need to learn it or can I hire someone to do it for me? Can I justify another day spent out of office? If you haven’t noticed it yet – it’s a must in our business. Being a linguist is all about continuous development. Technology is changing, so is the type of content we translate – and I think that constant challenges and striving for perfection is what makes our job so exciting and fulfilling. It’s one of these professions which requires you to stay up-to-date with the current trends. Perhaps that is why only the highly motivated are able to survive on the market and become well-rounded professionals. By sharing what you have learnt with other linguists you not only self-promote and advocate for yourself, but also you make difference to other freelancers by helping to raise standards and strengthen the whole industry. Finally, teaching is also a very enriching experience and you can be sure you will learn a lot from your audience, readers or students. It can be as simple as sharing your CPD experiences on social media or your blog. I don’t know about you, but I love learning new skills. No matter if it’s for professional purposes or purely for fun. Any new subject, from doing yoga to crafts, allows my mind to relax and to reflect on my skills in other areas…and also my professional work. So even when my diary is packed, I make sure I fit in some non-work related training. I would love to hear your thoughts. Do you have any strategy in place when it comes to training? What are you professional development plans for this year? Post 13: Flirting with Freelancing? If you’re reading this article, you’ve probably been gingerly or ambitiously flirting with the notion of one day becoming a freelancer; releasing the shackles of employment and the day-to-day office grind to dedicate your 9-5 to that brilliant million dollar concept you’ve been scheming up while your colleagues bore you with the latest annual report or office goss. Perhaps your motivation is more straightforward; now’s the right time to finally align your career with your hard-earned education and passions, as opposed to the plodding along in the job you landed in by chance or misfortune. Or maybe you’re tickled pink by working in the comfort of your own kitchen, in your fluffy onesie without Big Brother monitoring how many toilet breaks you’ve taken or urging you to get back to Heidi in Vienna about that shipping delay. Whatever your reason for the change may be, it seems that with 15% of the UK’s population in self-employment (2014) according to the Office of National Statistics, in comparison with 13% in 2010, freelancing is becoming an increasingly attractive option for men and women alike. In my case, self-employment was a career step I’d been forging behind the scenes as I toiled at my desk job. For 2 years my daily routine consisted of coming home from work and well…starting to work again, beavering away on the laptop translating until the wee small hours. In short, burning the candle at both ends while the circumference of the dark circles under my eyes increased and my social life descended into non-existence, but over that period I did manage to build up a cash reservoir allowing me to make the transition to full-time translator as financially secure, smooth and fearless as possible. That said, at the time I was (and, at times, still am) scared stiff at this solo voyage into self-employment. Have all the toil and the tears been worth it? Well, 2 years into it, in my case I do believe the grafting, groundwork and forward-planning is paying off. The first year could be summed up as a journey into testing my personal and professional limits, learning how to market my services properly, building up a client base and pressing snooze on the 7am ringer on my alarm clock. Who knew how easily a 5 minute snooze could turn into a 2 hour lie-in when you know there’s nobody waiting for you in the office?! Incomparable flexibility: need to get the kids out the door before you can focus on your task? No problem. Need to finalise a project at the weekend. Knock yourself out! You can set your own working hours. Work from wherever you like: not too fond of plugging away at home each day? With co-working and coffee shops** endowed with free WiFi, it’s easier than ever to mix up your routine, meet real humans (other than your relatively human family members) and beat the boredom and/or distractions of working from home. Financial gains: you’ve no real limit on what you can earn, and I mean that in the sense that you’re at liberty to set your own rates for your work using your own criteria. Within reason, that is. You might see a few a few raised eyebrows if you try to charge a well above average market fee for half-assed work.. Variety of work: one thing I enjoy is the variety of different projects I receive. Although I specialise in translations on travel and tourism, food and wine and on the whole I mainly receive that kind of work, it’s refreshing to translate an international development article or to subtitle an ad. A week of translating company annual reports though… not so enlightening, I’m afraid. Variety of people: the odd ratty or demanding customer is inevitable. We all have off days, don’t we? However, with my hand on my heart I can say that 99% of people I meet (or e-meet) through my work are friendly, sincere and considerate professionals. Some of them have become trustworthy colleagues. Even friends. Honestly! All in all, your freelance business is like Rome: not built in a day. And not built on a whim either. It takes plenty of legwork to craft your empire; forward-planning, knowledge of your sector, experience, a proper business infrastructure (which will vary from freelancer to freelancer), and the brazen nerve to unashamedly go after clients. Not to mention the most important foundation of all: the continuous discipline required to consistently get the work done – signed, sealed and delivered – and get paid! Plus if you can come up with a strong strategy to steer clear from falling into bottomless distraction pits such as Facebook and the biscuit tin, then you’ve overcome one of the biggest challenges. How many Jaffa Cakes have I scoffed this morning? Not sure, but just another 5 mins on Twitter and I’ll get back to work. Ok? **Always be careful working on open networks, esp. regarding confidentiality issues. Post 12: My Discoveries of 2015! Over the festive season, I decided to work for just a few hours each day on light projects and not to take on big projects for that period, a decision which has greatly benefited me. My back has enjoyed not being slouched in a seat over a desk and my eyes have been given a rest from the hideous blue light of the computer screen. My batteries are now fully charged and I’m ready and raring to have a great year, both personally and professionally. These holidays gave me a chance to think over a few things in my working and personal life that I’d like to implement or change (and also to beat myself up about the amount of daft things I did in 2015!). Alongside that, I realised that I have been influenced by a lot of online blogs, YouTubers, coaches, books and courses. I decided I would share a couple of these with you today! Denise Duffield-Thomas. Denise helps women entrepreneurs to get over money-blocks and start living a guilt-free first class personal and entrepreneurial life. Her cheekily named website Luckybitch.com , and Periscope (see below) videos have been key to help me regarding enjoyment pricing and costs in my business. Marie Forleo. I discovered Marie through YouTube and I can’t get enough of Marie TV, her YouTube channel, and, of course, her Q&A Tuesday, where she answers the questions on the lips of her inquisitive viewers, questions that are common to a lot of entrepreneurs, young and old. Marie gives her expert advice coupled with her professional views based on her own experience. Her mantra is “Create a business and life you love”, and Marie’s videos really do offer steps to doing this. She is the personification of a happy, successful and balanced life. She also runs the Marie Forleo B School to help increase profit by using your own unique set of skills to their fullest potential. Elizabeth Gilbert. One of the highlights of my year was Roisin Ingle (Irish Times) in conversation with Elizabeth Gilbert in Liberty Hall Dublin – such a real, no BS, and inpirational evening, and a privilege to share the evening with other similar-minded women. Some of you may know Elizabeth as the writer of Eat, Pray, Love, or maybe more so because of the movie version with Julia Roberts and Javier Bardem. Elizabeth is an intelligent and irreverent soul who writes about genius and creativity. 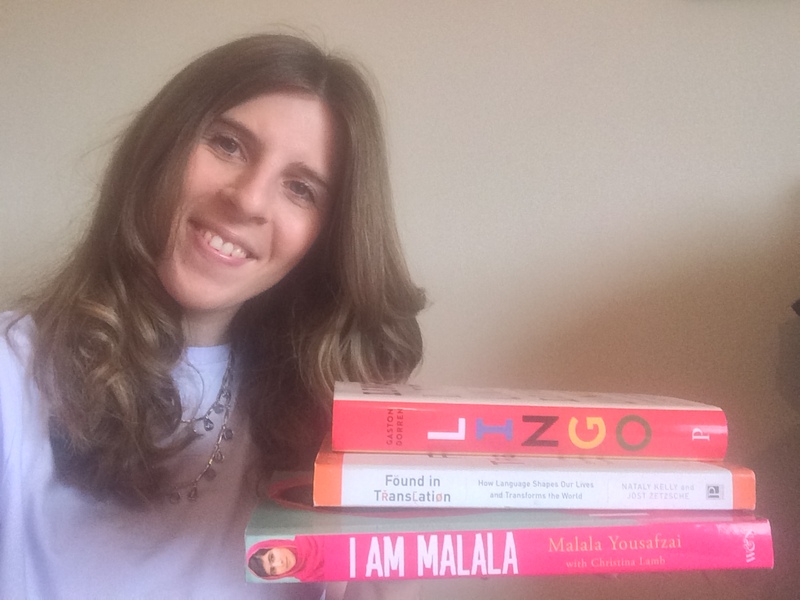 Her latest book Big Magic: Creative Living Beyond Fear is one of my favourite books of 2015. In it she expounds upon the challenges to embrace our inquisitiveness, get to grips with what we most love and face up to everything that we fear. She has a gifted voice, and really dares readers to delve into their curiosity. Oprah. When I was very young I used to watch her talk show The Oprah Winfrey Show when I got back home after school. I had no clue who she was and definitely had no inkling of the success she has had or her wealth. She is a fountain of triumph, kind-heartedness and shows that turning most to any situations from bad to good is entirely possible. You can also be generous, empowered and not get walked all over at the same time. The type of attitude I’m trying to aspire to in 2016. I hope to watch more of her Super Soul Sunday programme. Lena Dunham. Creator of the HBO hit show Girls. Her book Not That Kind of Girl is a very honest and hilarious memoir. She is a real creative inspiration and empowering lady. And I get the feeling that she just tells things as they are. The Freelance Box. We held a TFB run by Marta Stelmaszak and Valeria Aliperta in Belfast back in May. The one day course offered excellent practical marketing and sales strategies and techniques for translators and interpreters who have already or are thinking of setting up their own business. SDL Trados 2014 – and actually using it every day! Turns out bloggers and those commenting in online forums weren’t lying about its usefulness. I had the 2011 version and I rarely used it, except for big jobs with lots of obviously repeated text. I haven’t quite gotten used to all of the 2014 version’s functionalities, but I’m getting there, and honestly, I couldn’t imagine a working without it. My best business buy of 2015! Daily Motivation podcast. Introduced to me by my besty Charlotte, I have to admit that I haven’t gotten fully into it yet, but listening to one of these enthusiastic and encouraging podcasts in the morning before getting to my desk is a great way to build up self-confidence before getting down to the daily grind. They offer daily tips and ideas on how to make pragmatic small and large changes in your life, in order to move in a more positive direction towards the life you want to live. Persicope. A live streaming app for IOS and Android that allows you to watch and broadcast live video (yes, in actual real time), so it allows the user to feel like they are almost in the same room/ at the same scene as the broadcaster. You can also ask questions to the broadcaster too, and give them hearts to show you agree with them! I’m not 100% sure how I could use this for business purposes but that’s an avenue I hope to explore soon. Everyone knows I’m not a huge technology fan, but I must admit that if it hadn’t been for the internet and sharing facilities on social media, I would never have come across the above. The 9 things listed above have greatly influenced my working and professional life and helped me to develop my skills and attitude enormously. What were your favourite discoveries of 2015? I’d love know about them and how they’ve affected you. Maybe they can be my discoveries of 2016! To end, I wish all my colleagues and friends a very happy and prosperous 2016. I hope it will be an excellent year for you. November ’15 marks my 1st year running a full-time translation business. During this time on a number of occasions I’ve been asked why I decided to quit my full-time job to pursue life as a freelancer/ self-employed translator/ business owner (insert whichever noun you like implying “working for myself”), so here’s an insight. In this day in age, the decision to venture out on your own is received by different people in a variety of ways, as anything from ballsy to interesting, from smart-move to downright bananas! But, I am pleased to say that my first year could be described as so far, so good. There is no doubt that freelancing was certainly a plunge into the realms of the unknown. I’ve had to get used to bookkeeping, coping with deadlines, self-motivation, loneliness (working at home can be very quiet), finding my own clients, and the lack of contact with other human beings. Challenges on their own, never mind combined! That said, however, the number of plus points are infinite: flexibility, being able to spend more time with my loved-ones, being my own boss, and doing what I am meant to do (I believe! )…I could go on. In short, anyone who knows me will tell you that, like my colleagues, I’m a “languages person”. From a young age, my favourite hobby was to help my great aunt Lil with her crosswords. And when I started learning languages at school, began discovering new cultures and did my first exchange to Granada, I was convinced & excited that my future studies and career would be in this field, for better or for worse. So at 16 years old, I made a commitment to languages, vowing never to let them escape from my life. After one year in full-time business, I’d like to say a huge thank you, gracias, merci and danke to everyone who has supported me. I cannot explain how much your kind words, encouragement and advice mean to me. Here’s to another great year! Post 10: But Marty, I need the translation… yesterday! It’s October 21st, 2015: the day that Marty McFly travels to in Back to the Future. It’s the future! 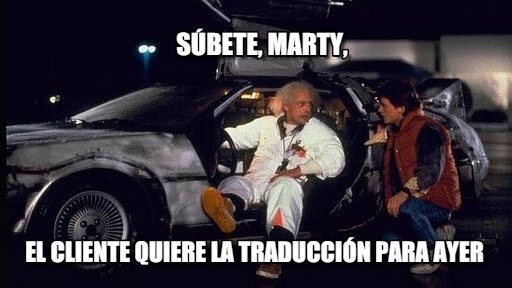 This morning Twitter has been abound with awesome pics, memes, videos and hashtags about the movie, but one that particularly caught my eye due to its relevance to the translation industry was an image with the Doc and the DeLorean, tweeted by audiovisual and literary translator Scheherezade Surià on her Twitter accompanied by a hilarious text in Spanish, stating: “Súbete, Marty. El cliente necesita la traducción para ayer.” (Translation: Hop in, Marty. The client needs the translation yesterday). fear> panic> itching> rash all over face> panic again> is the Earth spinning 100 mph?> dizziness> yep, the Earth is definitely spinning at 200 mph> sky darkening> apocalypse> keel over> die. But I would open that email with a shaky hand and certain trepidation. Thankfully I’ve gotten over that. So for argument’s sake let’s say that email contains a large translation for the next day; and I mean large, not unrealistic. I’m not referring to the ridiculous emails for 180,000 words for 8am the next day – there are some cases that are just impossible to handle in a short amount of time. So, after the sweating has stopped there are a couple of things we can do. We could reply saying: Impossible to do that for tomorrow. End of. Personally I could never take this blunt approach for a million different reasons, including, fear of losing face and the client. Us translators are rarely Beyoncé – rarely Irreplaceable – unless we have a solid specialisation in the client’s field. A freelance translator is a business person, (yes, you are, whether you like it or not) an entrepreneur, if you like, and this job title implies being prepared to provide solutions to problems, and a commitment to helping our clients to move to the next step in their business, even if at times they cause inconvenience. 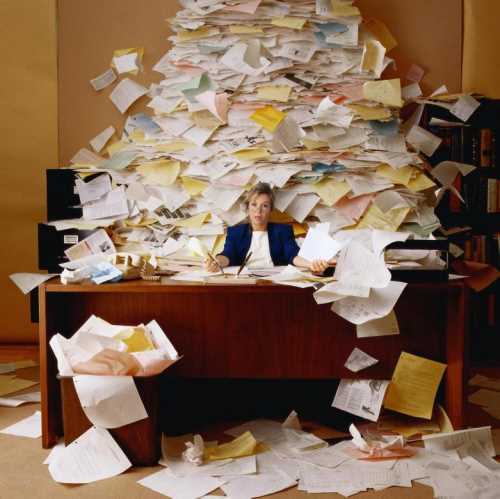 So how can we help our client conquer that urgent job? Well, you wonderful entrepreneur, you’ll have to think quickly and logically! Our objective should be to help the get the job done as well as possible, while remaining positive, professional and poised and not losing track of our other projects – a bit of a juggling act! But in some cases, you do not have to do it alone. Can you change your schedule to fit in the translation and still be able to provide high-quality work and meet your other deadlines? Are you able to work a few extra hours that evening to get it done without compromising the end product? If this answer is yes, then problem solved! If the request is from a direct client, can you split the translation with a trusted colleague or colleagues who work(s) in the same area and language pair? Normally, the client will not mind; they are primarily interested in receiving a fit-for-purpose translation on time. (Note: with agencies this is a no-no, unless it has been agreed on with your PM). Can you refer your client to one of your trusted colleagues? Or can you project manage it for the client? Your colleague can translate it and you take care of the proofreading. Clients (mine, at least) do not have telepathic powers. They do not have access to my weekly schedule, so they have no idea about when I am free. We can’t blame them if they need a translation when we happen to have crammed-schedules. Lack of understanding about how long a translation takes. Perhaps a client is experiencing their first foray into translating their documentation, meaning that they do not have a realistic perception of turnarounds. Disorganisation. No matter how organised we are from time to time (and more often) things slip our minds, or a document from a colleague arrives late, postponing everything that follows including the translation. So how can we deliver the urgent document on time without feeling bitter, resentful and worked into the ground? When you begin working with a client, send some type of “How I Work” documentation where you state how many words or pages you can handle per day and how much notice you need for a project, therefore, you set realistic expectations. Evidently, this is all idealistic, as often clients do not read or remember it. However, in the event that you’re sent one of these “translations for yesterday”, you can refer them to the document detailing your words capacity per day on it. When agencies ask translators to fill out applications, they often ask for your capacity of words per day, so they are aware of their suppliers’ capabilities. Add your rush fee for urgent projects. If you have to work late and put in extra hours, shift other work or burn the candle at both ends, then add a supplement for urgency. This may mean upping your rate from 0.08p per word to 0.10p per word, as an example. Or it could simply be tacking on an extra £10 per hour (again, as an example). Make sure the client agrees on this before hand. You could even send them a document to confirm this, have them sign it and send it back. I do not particularly like rush jobs, so extra remuneration for my efforts sweetens the deal for me. Back when I just started out I would have bent over backwards to please a client, but now I realise that there are more measured and logical approaches that culminate in happy translator and satisfied client. Managing to strike this balance in rush job situations is tricky, but for me, going the extra mile and compromising is worth it, as long as it does not lead to resentment and burn-out. I’d guess that Marty McFly would simply hop in his DeLorean (made in Belfast, by the way) and have that translation ready for yesterday. But what do you do when you receive a rush job? I’d love to know how you tackle these situations. Please share your comments in the section below. Thankfully in this day and age, freelancers and SMEs can market their services at a relatively low-cost. With social media, online translation job boards and workplaces and the right know-how, it is easier to effectively advertise what you do for free. Gone are the days of taking out Yellow Pages ads, and unless you are a massive corporation, there’s no need to brandish your company’s logo over a billboard on the motorway. And you certainly don’t need to plaster yourself over the side of an inner city bus à la Carrie Bradshaw (phew)! Starting out can be tough, and initially it’s difficult to know how much of your time and budget should be allocated to marketing. Finding the marketing strategy that works for you can often be a matter of trial and error – and that’s perfectly normal and acceptable. You can add and remove ingredients from your marketing mix until you’ve found a recipe that works. Here are 4 of my top tips on how to market yourself for free or very little aside from using social media. Word of mouth. Everyone around you should know you’re a translator: from your granny to your neighbour, from the guy in the bookshop in town to the manager at your local chamber of commerce. You don’t need to give them a whole spiel, but you can have perfectly crafted elevator pitch at the ready (see my post coming up on elevator pitches for translators). Remember at this point you are not trying to sell to anyone (the window cleaner your chatting with is probably not in the market for translations), but rather raise awareness about what you do and make them remember you. They may suggest you to a friend or family member who is in the business. Networking events. Your local chamber of commerce, business centres and business associations will often run networking breakfasts, lunches and other meetings. These present great chances to meet people. To get the most out of each event, find out who the attendees are in advance, pinpoint those who you could work with, make a point of introducing yourself to them at the event, give them a business card and send a follow-up email a few days after. In addition, networking is also a great way to get introductions to others professionals and businesses. You’ll know when the moment is right to ask one professional to introduce you to another that you’d like to work with. When we aren’t used to networking then it can be tricky and there will be mindset obstacles to overcome; we begin to feel shy, want to back out, forget names, even our own, get nervous and maybe even spill a hot cup of tea all over the most important person in the room (yes, at my first networking event I did that)! Little by little it does get easier. Blogging. Us translators talk and write a lot, so why not write down your thoughts on translation and the industry? Posts that bear your name and are linked back to your website will improve your SEO ranking and help to consolidate your online profile. Does it require time and dedication? Yes, it certainly does. On the plus side, however, with engaging material, it is a sure-fire way to give yourself exposure and build up a community of translator-readers who could potentially become clients. Not decided? Feeling uninspired? See this post I wrote earlier this month on Kasia Pranke’s blog. Email signature. Sign off all your emails with your name, company, position, and how to get in touch. Some people chose to add their phone number or a photo of themselves and nowadays others include a call to action. Not only will a cleverly designed and effective one leave a professional impression, but it’ll also add to your credibility. Keep it brief and concise. No need to write your life story down there – save that for your juicy best seller! And remember to test your new signature before you use it on your client email. You’ll find more information about email signatures by clicking here. Have you tried any other free marketing tools that do not involve social media? How successful have they been for you? As usual I’d love to hear from you, especially those who’ve used infographic CVs, so please share your thoughts in the comments section below. As freelancers we are in the fortunate (and sometimes unfortunate) position of being in the driving seat when it comes to our careers; we push the buttons to make our own careers and own money. Most of the time being a freelancer gives us great (you guessed it) freedom to organise our work schedules as we see fit. And a common complaint is that there simply are not enough hours in the day to complete all our work. However, the opposite is also true; there are times when the work simply is not flowing constantly and this can be even more challenging from an emotional as well as financial point of view. To combat this we could sit at computers hitting refresh on our inbox to see if any new emails have arrived, but for the sake of our own sanity I would advise against it! (Been there; success rate: 0). I would, however, advocate a proactive approach. Below you will find some tips on what to do when your translation business hits a slow period, most of which have been tried and tested by yours truly over the past 4 years. Email the agencies who normally send you work and let them know you have availability at that time. Just a simple few lines will do. As project managers mainly allocate jobs based on availability, by sending a short and concise email you’re giving the PM a helping hand. You’re putting yourself in the forefront of their minds too. Follow up with your direct clients. Seek feedback on the most recent project you helped them on and ask them for testimonials that you could add to your website (to attract new clients). Chase up on unpaid bills (banter – I know!) and clients who you have sent a quote to, but haven’t gotten back to you yet. Review your CV. This is a perfect time to update it, add your latest courses and experience to it. Review your marketing material for direct clients (or design some if you haven’t already). Review or create your portfolio of work. Some agencies ask for sample translations before they hire you, so it’s useful and time-efficient to have this on hand if need be. Always remember to politely ask your client for permission to use the translated material for the purposes of your portfolio. Stay clear of using names and sensitive information. Remember that blog you started and then abandoned after a few months? (Ahem, *points finger at self*). Well, it’s time to revisit, revive and refresh it. Look for new ideas for posts, organise your old posts and why not contact fellow translators with a view to interviewing them on a guest post. People love being interviewed ‘ it’s flattering! Or maybe it’s time to start a blog. Check out Blogstarter for some key tips on how to get going on a blogging platform. Organise your computer desktop and back-up files you require onto an external hard drive. Update your LinkedIn profile, look into its new features and how they could potentially help you to do business. Check if there are business networking events or events specific to your area of specialisation happening nearby and buy a ticket. Over the next few days you can get prepared to attend. How about having new headshots taken for your website and professional profiles? Most translators tend to be avid readers, so I’m sure you have a ton of translation books piled up just waiting for you to get stuck into them, so why not start? When you finish it you could even review it on your blog (you can thank me later for that idea!). And in addition to being bookaholics, we generally love to learn new information. Why not plan your CPD for the rest of the year? See this post on the importance of continuous professional development in our career as a guide (yup, shameless plug). It could also be a good time to take a break and recharge your batteries, dedicate more time to a hobby or take up a new one. And last but not least, my favourite tip: de-clutter your office, bedroom, kitchen, wardrobe or desk (wherever really) and sell unwanted goods online or at a car boot sale. Alternatively just send a bin liner full to your local charity shop or a good cause (If you are based near Belfast, I can collect your stuff and send it to a worthwhile cause). Doing this helps me to clear my mind and regain focus before starting into work-related tasks. And by the time you’ve checked off one of the tips above, Murphy’s law will probably have kicked into action – you’ll check your inbox and, hey presto, a juicy little translation request just dying to be opened will be waiting on you!